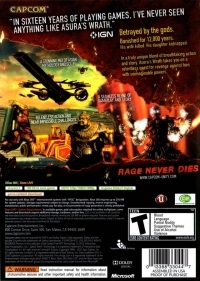 Box Text: Betrayed by the gods. Banished for 12,000 years. His wife killed, his daughter kidnapped. 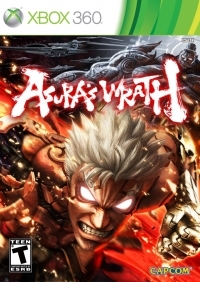 In a truly unique blend of breathtaking action and story, Asura's Wrath takes you on a relentless quest for revenge against foes with unimaginable powers.